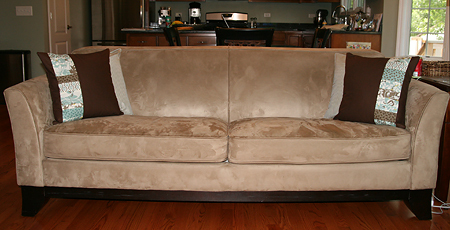 When I first saw the Moda Arcadia line, I was very excited because it matches our family room perfectly! I decided it was time to replace my couch pillows, which I've probably had for 7 years. 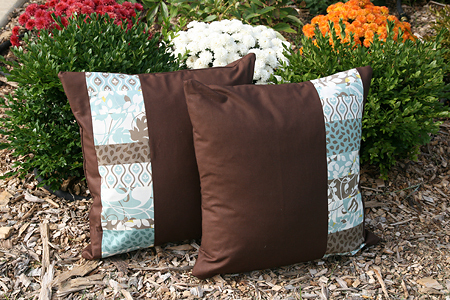 These are the first pillows I've made and I learned a lot in the process. They are 18" squares with down inserts and invisible zippers. I plan on making 2 more coordinating pillows, but those are a surprise!